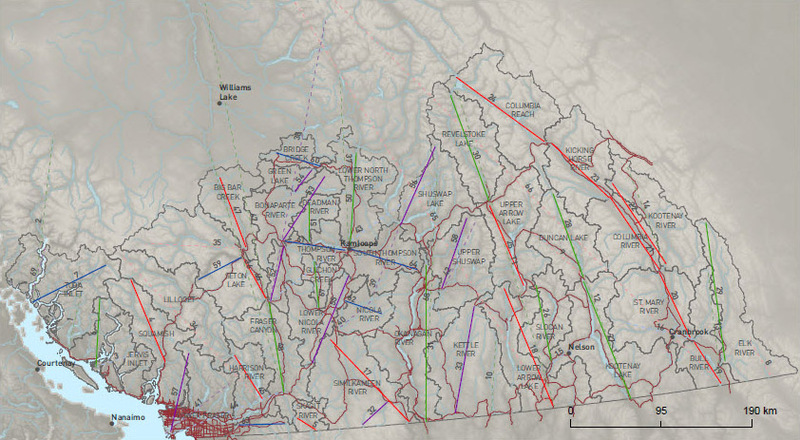 We measured the kinds of habitat that migrating birds fly over and land in, using radar data recorded in BC valleys by Echotrack Inc.
Echotrack Inc has developed radar technology for recording bird flights. 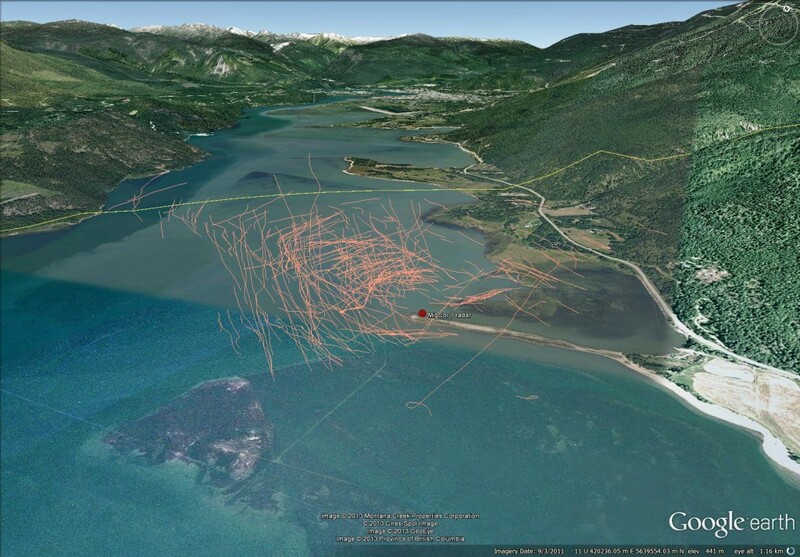 In 2012 they conducted a month-long data gathering campaign, recording overnight flights of migrating birds in 10 valleys across southern BC. 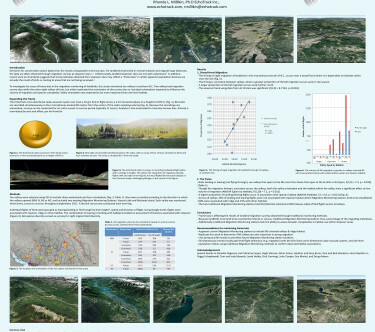 Geocology took the data output by the radar system and converted it into formats usable for visualization in Google Earth and for loading into spatial database software. We then analyzed the movement of the birds with respect to the habitat they flew over, their landing and leaving trajectories, their flight bearing, and their flight times relative to sunset and sundown. 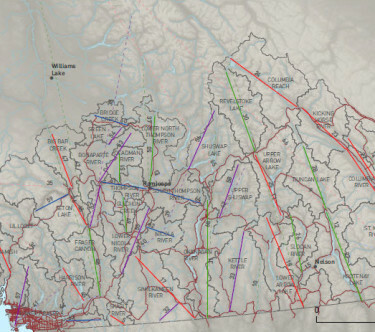 This project is an ongoing assessment of how birds in BC use valleys for migration, and the possibility that existing research may be focusing too much on a few well-known study sites to the exclusion of actual provincial migration patterns. 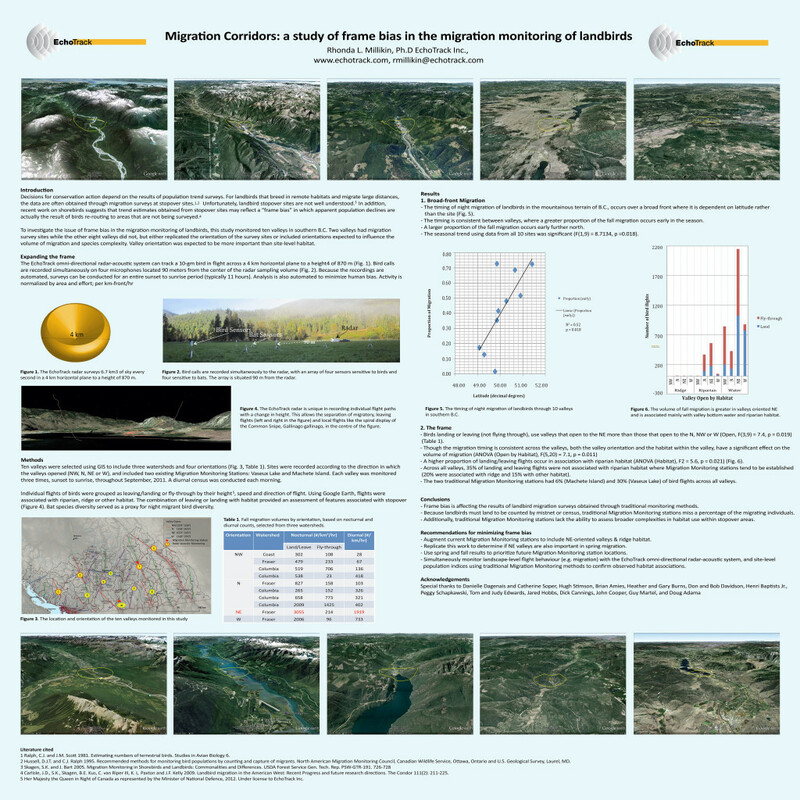 Initial analysis was presented by Echotrack in a poster at the 5th North American Ornithological Conference. A full paper will follow.